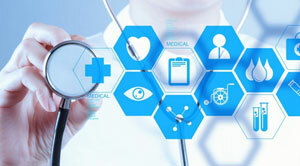 The ever-growing application of IT has indeed come to revolutionize healthcare. The industry, today, is no longer about just cure or preventive care. Leveraging the advancements in technology, the healthcare providers are offering most holistic, swiftest, and as convenient care as possible. Take the case of EMR systems, they not only facilitate better documentation but enable instant transmission of health records, thus, eliminating the need to repeat the tests and help offer timely treatment. If Telemedicine is considered, it is making instant, remote healthcare as effective as possible. The population health systems, on the other hand, have come to optimize operational workflows and manage large health ecosystem efficiently. What stands in common to all these incredible healthcare innovations are there unequivocal dependence on networking or more so to wireless networking. With all these and many other medical devices dependent on swift networking, it would be fair to say that the key to progress is but, the optimization of wireless networking. It would play an important role in improving the performance of networking and as a result, contribute to better management of IT tools as the magnitude of data passing through the networks increase day by day.